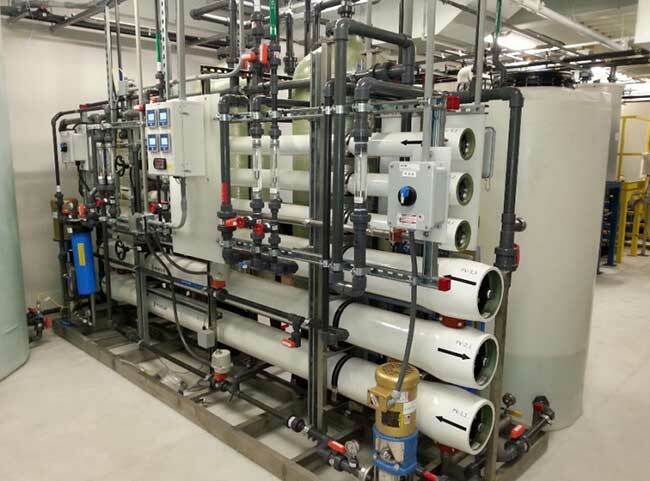 Aries has completed the start up of a new zero discharge closed loop wastewater treatment system at a Northeastern printed circuit board facility. 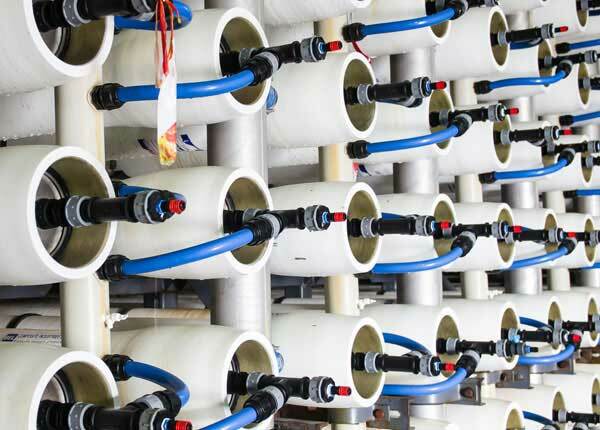 Aries water treatment technologies include ion exchange, chemical pre-treatments, micro-filtration, reverse osmosis and evaporation. Aries engineering staff designed the system based upon Aries’ experience designing and installing zero discharge closed loop systems in a variety of manufacturing facilities. The treatment systems and controls were built at Aries fabrication facility and field installed by Aries’ field service staff. 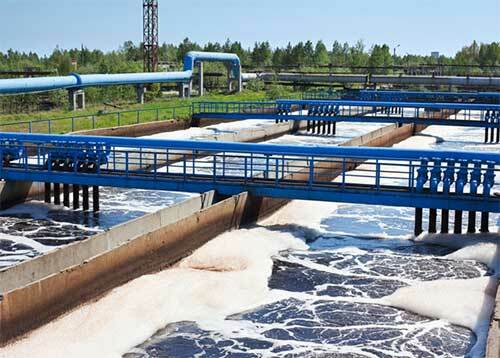 The wastewater treatment systems treat both plating rinse waters and chemical etching process effluents for reuse. 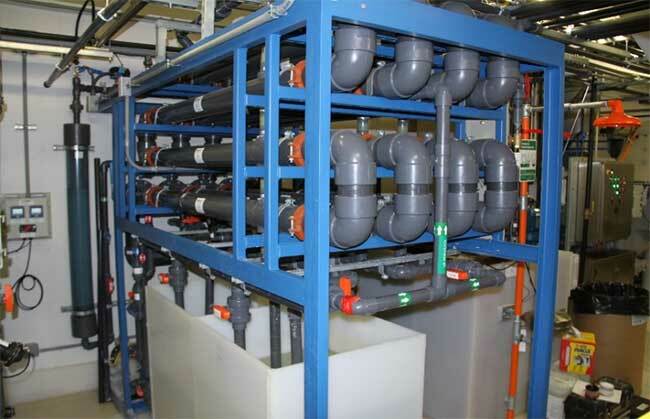 The plating rinse water with 45 gpm design flow rate is treated using an ion exchange based system. After treatment the plating rinse water is used to replenish rinse tanks. 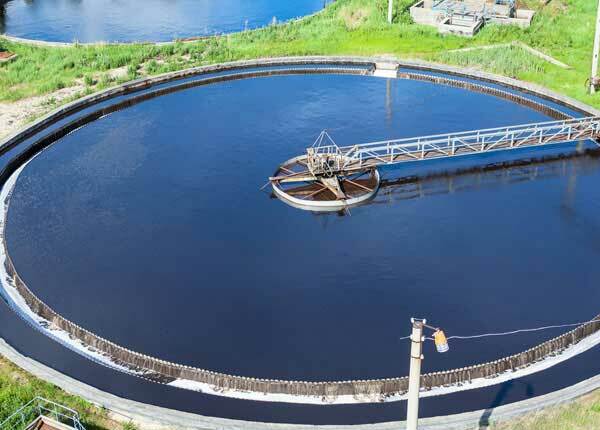 The chemical etching department’s wastewater is treated for reuse with a chemical pre-treatment and micro filtration system to reduce metals levels. 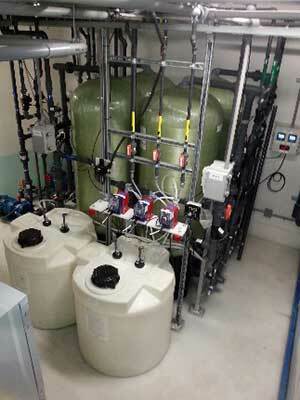 This pre-treated water with 12 gpm design flowrate then goes through a reverse osmosis (RO) filtration system to remove the majority of salts. The RO permeate is reused for chemical etching make–up and rinse waters. A recovery RO further concentrates the salts from the primary RO and returns most flow to the primary RO feed. 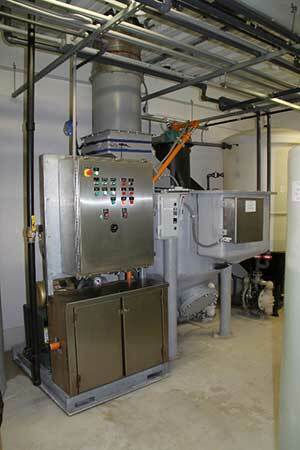 A natural gas fired high efficiency evaporator with a filter press system is used to solidify dissolved solids from the ion exchange and RO systems. 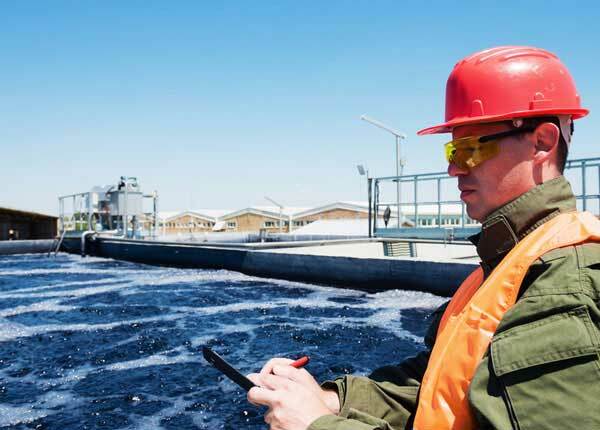 For further information on our industrial waste water treatment solutions, contact your Aries Chemical Representative or the Beaver Falls office @ (315) 346-1489. Also view a printable version of this Case Study.